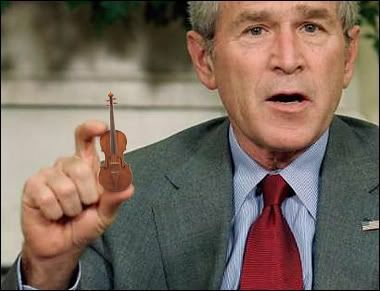 Cry Me A River, Parody Song Lyrics of Betty Elders, "Roll On New River"
Song Parodies -> "Cry Me A River"
His railroading, George Bush has foiled it! Wow, Keith Olbermann is spastic! Like all leftards, he belongs in a straitjacket. 'Cause that's what the Supreme Court just said. You don't like that? Kiss Alito's yarbles. Your racist preferences must go! Now your lamestream media's losing its marbles. That we thwarted once more your endeavor. Amnesty went down in flames! "Fairness" pushers, you'll gnash your teeth forever! Speaking of all the liars and nutcases busy screaming about Scooter Libby from the lamestream media, here's hoping Bush ultimately gives Scooter Libby the same treatment that former Felon in Chief Bill Clinton gave his old pal Henry Cisneros. The address of this page is: http://www.amiright.com/parody/90s/bettyelders0.shtml For help, see the examples of how to link to this page.